By Agus in Coding. Updated on November 26, 2018 . CSS is the underlying language that gives websites its look. Although CSS is a straightforward language and easy to learn, it can be difficult to harness in some cases. Nothing to fear, there are workarounds that you can find online, and here are but just 10 handy ones that you can use. If you want to wrap long text, auto adjust the width of your table columns, or create a simple loading state without the use of Gifs, we have the snippets that will deliver, and more. Using this technique, everything — from a single line of text, a series of paragraphs, or a box — will align vertically. As far as browser support is concerned, CSS3 Transform works in Chrome 4, Opera 10, Safari 3, Firefox 3, and Internet Explorer 9. In certain scenarios, you might want to stretch an element to the full window height. Basic element resizing will only resize up to the container size so to make an element span the height of the entire window height, we need to span the top-most element: html and body. Sometimes you can have several links that you want to make look different from others, in order to make it easier to know where the link is going. 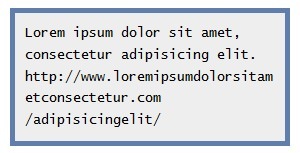 This snippet below will add an icon before the link text and use different icons or images for different kinds of sources, which in this example is an external link. One of the most enticing feature in CSS is the ability to add animation effect. You can animate background color, opacity, size, but unfortuantely not for Gradient Color. Currently, you can’t animate the gradient background however this snippet may be of some help. It moves the background postion to make it look as if it is animating. Here’s a demo to show you what it does. Tables are a pain especially when it comes to adjusting the widths of columns. However, there is a shortcut you can use. Add white-space: nowrap in the td element to easily correct the text wrapping. Check out the demo to compare the result. With simple CSS code you can make the text adjust the width of the container. Want to turn text blurry? What we can do is make the color transparent,t hen add text-shadow like this. And voila, you got yourself some blurry text. These snippets will help you make an animation called ellipsis, useful for making simple loading states instead of using a gif image. Do play with the snippets and experiment with what more you can do with it.